Oppede's charm abounds. The garden gate welcomes visitors. 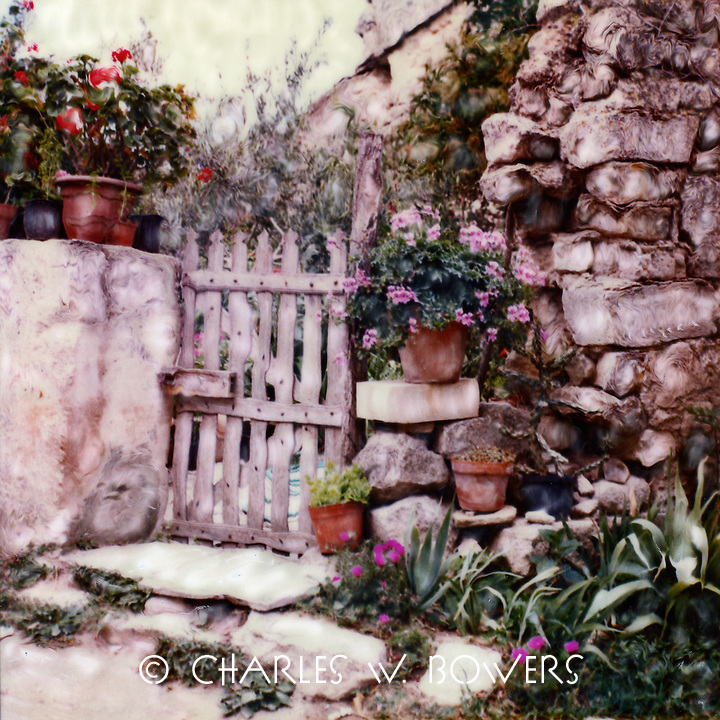 Pots of geraniums cling to stone shelves in this ancient stone wall. After being abandoned in the 17th Oppede has gained new life.